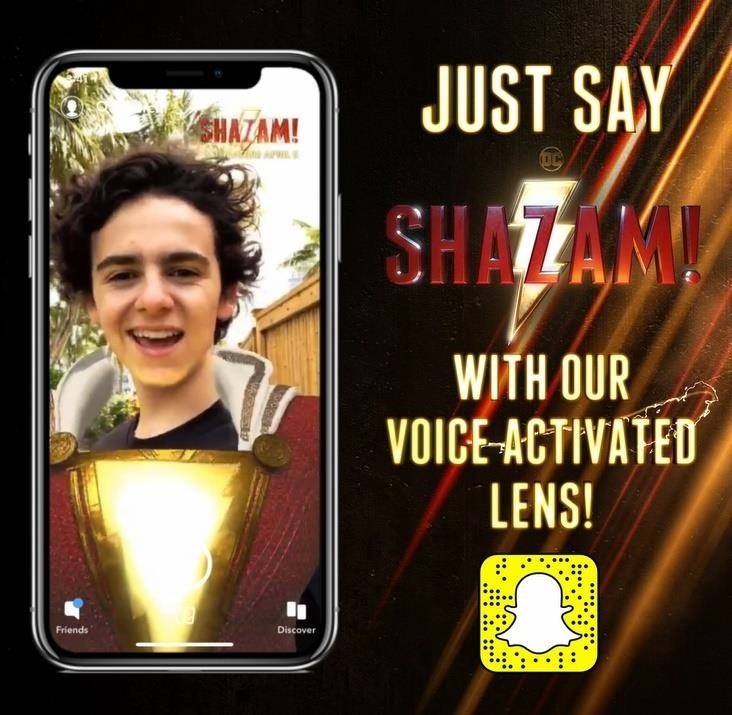 Luckily for Warner Bros., Snapchat happens to have relatively new voice recognition capabilities for its AR Lenses, which the studio's marketing team put to good use to promote its forthcoming film, Shazam!, which hits theaters starting April 5. For the uninitiated, the origin story of Shazam! consists of a wizard granting magical powers to the teenager Billy Batson, who is able to turn himself into an adult superhero with roughly the same skillset of Superman by uttering the film's title. With the context established, how would you guess that the Snapchat Lens works? That's right, say "Okay Shazam" and the augmented reality experience kicks into gear. With a flash of virtual lightning and a puff of digital smoke, the Lens overlays the hero's costume on the user's body and a bubblegum bubble on his or her face. 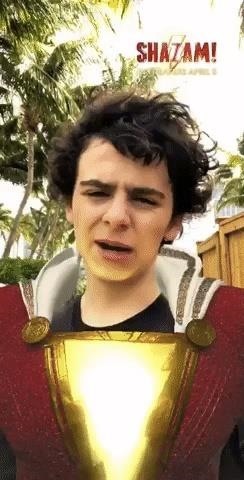 According to a Snap spokesperson, the Shazam! 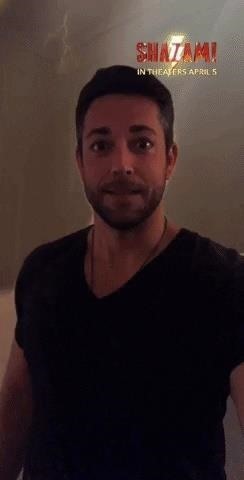 Lens is the first to use the speech-activated feature that Snapchat introduced in August 2018. The experience will be available via Snapcodes on billboards, murals, and posters on display in Times Square in New York and the corner of Hollywood and Highland in Los Angeles, with the experience rolling out to more than 20 countries, including UK, France, and Mexico, over the movie's run. You can also try it yourself right now by launching the Snapchat app and using the Snapcode in the image above. While the voice recognition feature is timely for Shazam!, it is several years too late to come to the rescue of the ill-fated Fantastic Four films, where one Johnny Blaze ignites himself with the words "flame on!" However, if we do finally get a Masters of the Universe reboot, I, for one, look forward to summoning the powers of Grayskull to become He-Man. Last summer saw multiple AR activations from movies like Avengers: Infinity War, Incredibles 2, Deadpool 2, and Jurassic World: Fallen Kingdom, among others. The industry has shown little sign of letting up on its love affair with augmented reality, which means we can expect to see many more similarly innovative marketing AR experiences in the coming months.